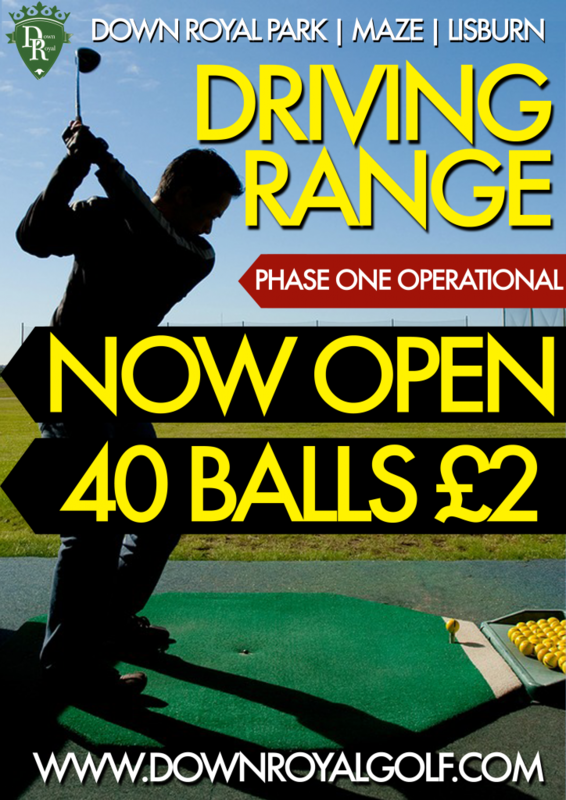 Phase one of the Driving Range at Down Royal Park is now open and available to use 7 days a week. Enjoy a basket of 40 balls for only £2. Everyone welcome to use this new facility and golf clubs are available to hire at reception. We look forward to welcoming you.